Animals with skeletons of bone appear for the first time during the Ordovician. They comprised a group of fish that had round mouths but no jaws, and were related to the hagfish and lampreys of today. Another major evolutionary step was taken by the first plants that began to grow on land. 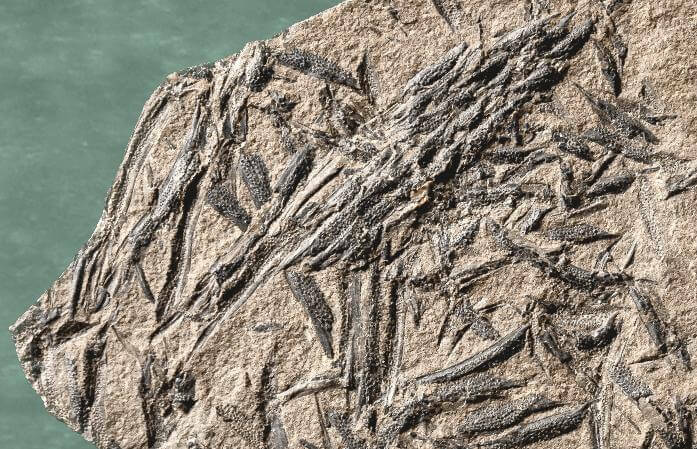 The oldest remains of bone tissue that have been found are fish scales from the beginning of the Ordovician period. Skin and scales of a jawless fish. Scientists have discovered more complete fossils of vertebrates – more specifically, jawless fish – from the late Ordovician. 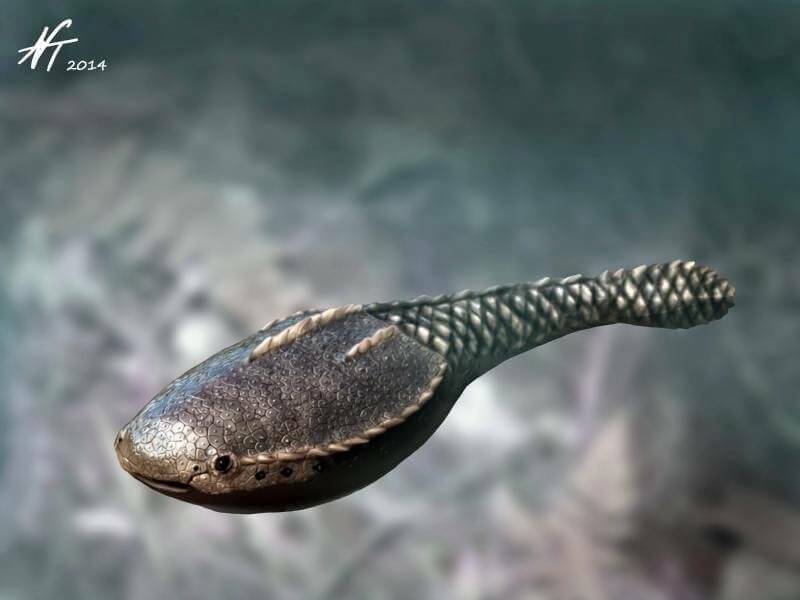 Jawless fish from the Ordovician. The fossil fish had an external skeleton of bone. The bony plates covering the body formed a sort of protective shell. Modern vertebrates have internal skeletons that consist of living bone tissue which is continually renewed. The external skeleton of jawless fish consisted of dead tissue. 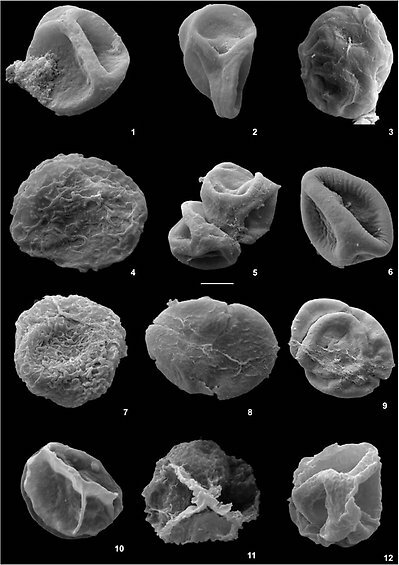 The first definite traces of land plants have been found in fossils from the Ordovician. They are the waxy coatings of cells and of simple reproductive organs called cryptospores. The waxy coatings probably represent the earliest examples of plant “cuticle”, a water resistant material that prevents plants from drying out. 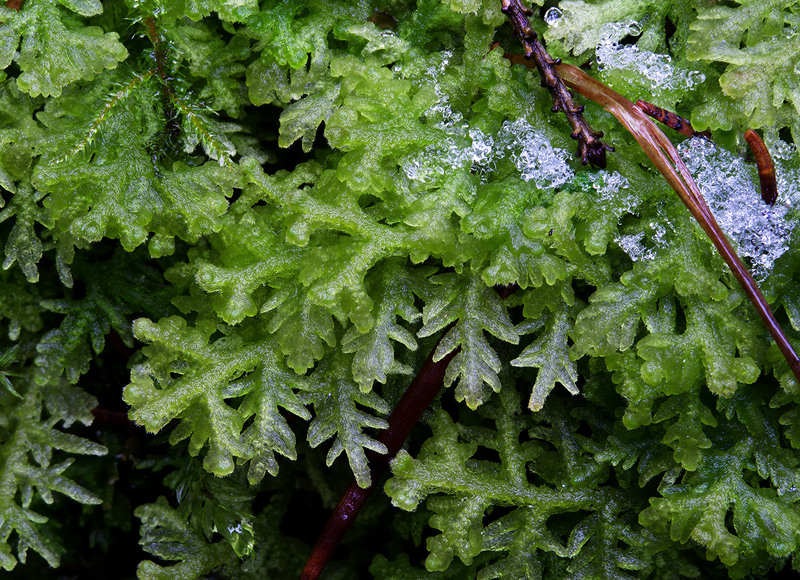 Cryptospores have features which suggest that they were produced by plants related to liverworts, a group that is considered the simplest of modern land plants. There are several research findings which point to the same conclusion, i.e. that the first land plants were liverworts. This is part of the exhibition Fossils and Evolution at the Museum of Natural History in Stockholm.